When the basic supply concept for the electricity supply system has been established, it is necessary to dimension the electrical power system. Dimensioning means the sizing rating of all equipment and components to be used in the power system. 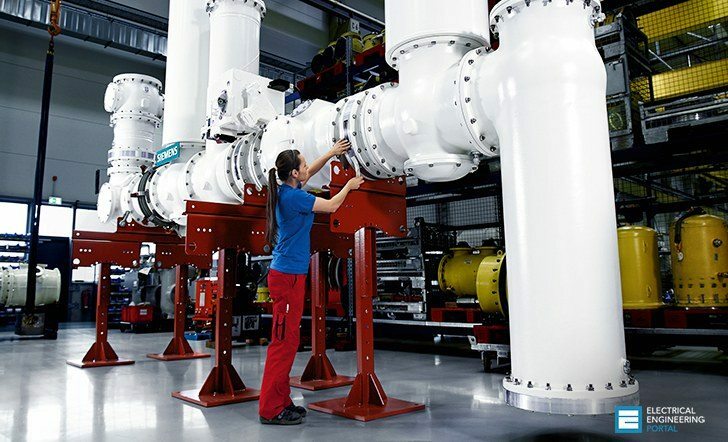 The dimensioning target is to obtain a technically permissible combination of switching protective devices and connecting lines for each circuit in the power system. In principle, circuit dimensioning should be performed in compliance with the technical rules standards listed in Figure 1. When selected network components and systems are matched, an economically efficient overall system can be designed. This cross-circuit matching of network components may bear any degree of complexity, because subsequent modifications to certain components, e.g., a switch or protective device, may have effects on the neighboring higher-level or all lower-level network sections (high testing expense, high planning risk). For each circuit, the dimensioning process comprises the selection of one or more switching protective devices to be used at the beginning or end of a connecting line, and the selection of the connecting line itself (cable/line or busbar connection) after considering the technical features of the corresponding switching protective devices. For supply circuits in particular, dimensioning also includes rating the power sources. The objectives of dimensioning may vary depending on the circuit type. The dimensioning target of overload and short-circuit protection can be attained in correlation to the mounting location of the protective equipment. 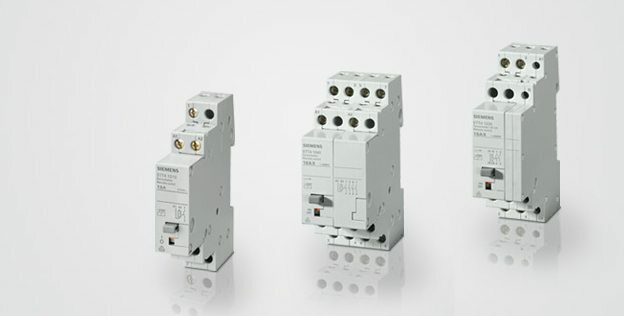 Devices applied at the end of a connecting line can ensure overload protection for this line at best, not, however, short-circuit protection. The basic dimensioning rules and standards listed in Figure 1 principally apply to all circuit types. In addition, there are specific requirements for these circuit types that are explained in detail below. Particularly stringent requirements apply to the dimensioning of supply circuits. This starts with the rating of the power sources. Power sources are rated according to the maximum load current to be expected for the power system, the desired amount of reserve power, and the degree of supply reliability required in case of a fault (overload short-circuit). Load conditions in the entire power system are established by taking the energy balance (in an “energy report”). Providing additional power sources (transformer, generator, UPS). Rating the power sources according to the failure principle; n- or (n–1) principle: Applying the (n–1) principle means that two out of three supply units are principally capable of continually supplying the total load for the power system without any trouble if the smallest power source fails. Rating those power sources that can temporarily be operated under overload (e.g., using vented transformers). Independent of the load currents established, dimensioning of any further component in a supply circuit is oriented to the ratings of the power sources, the system operating modes configured and all the related switching states in the vicinity of the supply system. As a rule, switching protective devices must be selected in such a way that the planned performance maximum can be transferred. In addition, the different minimum/maximum short-circuit current conditions in the vicinity of the supply system, which are dependent on the switching status, must be determined. When connecting lines are rated (cable or busbar), appropriate reduction factors must be taken into account; these factors depend on the number of systems laid in parallel and the installation type. When devices are rated, special attention should be paid to their rated short-circuit breaking capacity. In addition, a high-quality tripping unit with variable settings is preferred, because this component is an important foundation for attaining the best possible selectivity toward all upstream and downstream devices. After reading this article several times it gifts me more knowledge. And as consequences, I would like to join the team and make a research as well. Later, I’ll be making my thesis and wanted to share my thoughts and idea about the subject matter I would like to discuss. I do not agree with relying on standards for sizing and dimensioning of the power system equipment. Basically standards do not take the special circumstances within different networks into account, and by not considering such conditions they usually result in over design and unnecessary costs. I believe that relying on real time simulation studies over standards would result in a better and more reliable design. Most of the cable sizing done within the available programs uses such standards, which again causes over design, and in some cases unreliable operation. But POUYA real time simulation allows the users to design power system equipment based on the actual operating conditions of the network in question. All the operating conditions can be predicted and the effectiveness of the equipment can be found while also the actions deep inside the controllers and protection devices can be observed. Thank you Sajna, that’s very kind of you! It’s always nice to hear praise from electrical engineers. Have you think about joining our team? I’ll send you more information if you’re interested of course. Of course I’m interested to join your renowned team if you provide me your great support since I’m only a small fish in this vast ocean of electrical engineering. Hope you’ll send me more information. Thank you so much sir…..